I created today’s projects for my January Thank You Cards. 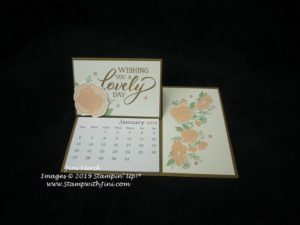 They are a bit different from what I usually do since they contain a little calendar but I really like the way they turned out and hope everyone who receives them will enjoy them. They are so easy to make and even better they fold flat for mailing. Want to learn how I made them? I’ve filmed a Tutorial for you today and also typed up a PDF to go along with it so you can make some too if you would like. 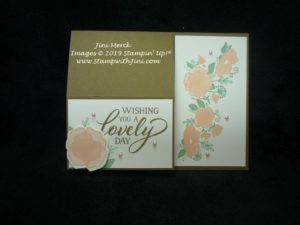 This entry was posted in 3d, Cards, Techniques & Tutorials and tagged 3d, Calendar, Forever Lovely, Free Tutorial, Video Tutorial by Stamp with Jini. Bookmark the permalink.